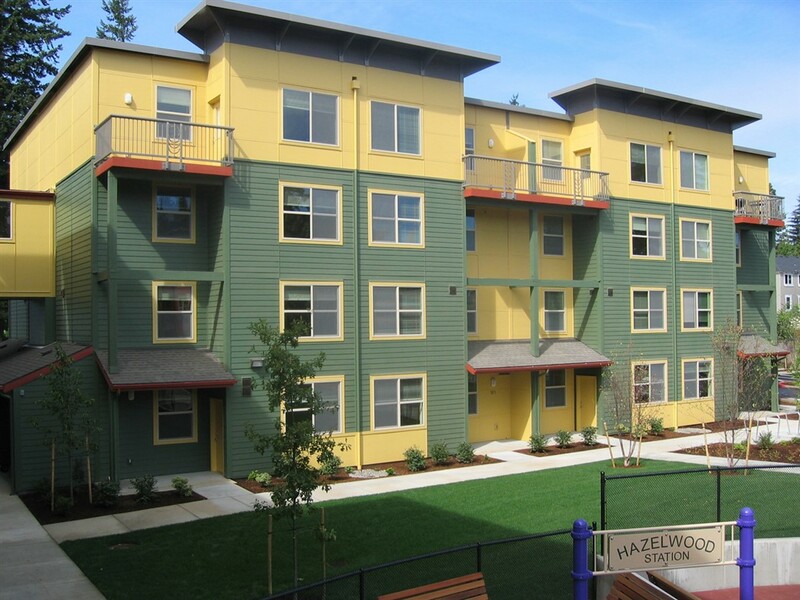 Three four-story buildings contain 60 affordable apartments for low-income families and disabled residents. 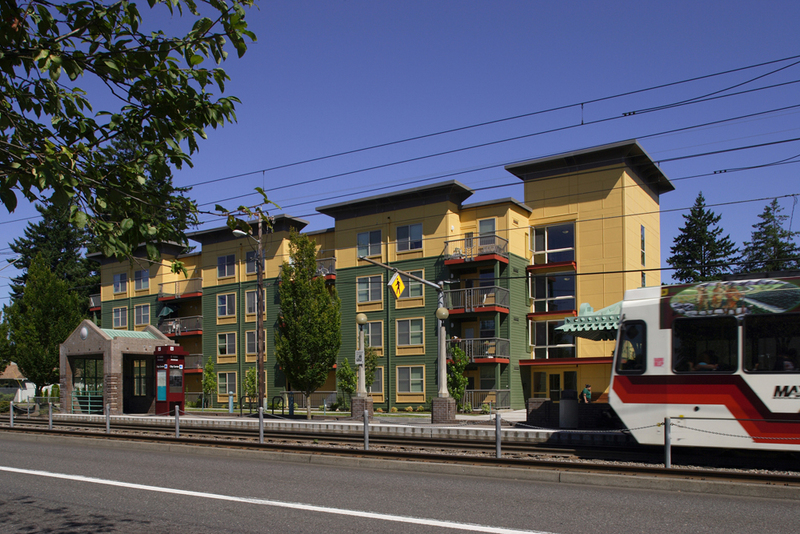 The project is adjacent to a regional light rail station and fifteen fully accessible units are located in the building nearest the station. 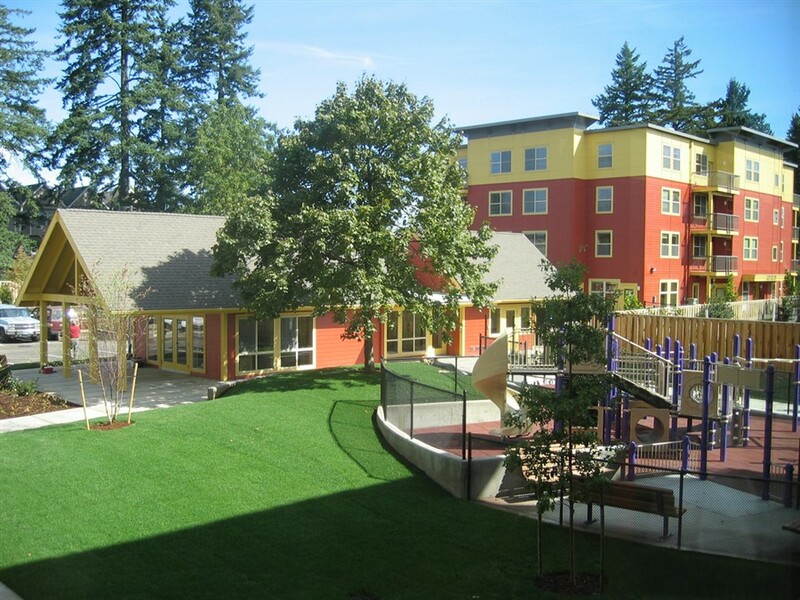 A generous courtyard provides a secure playground and contains a small community center. 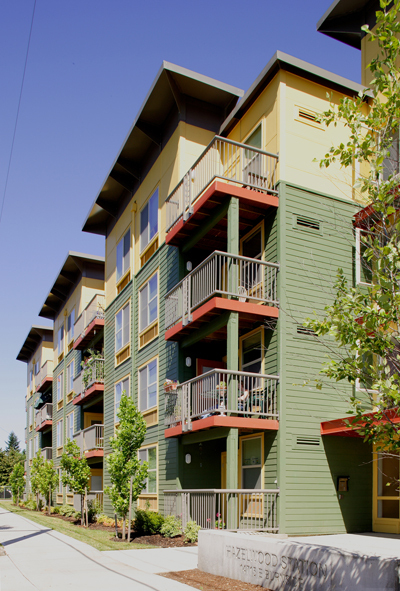 A child day care center is also included on site.